NVIDIA’s latest Pascal generation GPUs are all the craze lately and we can clearly see why. 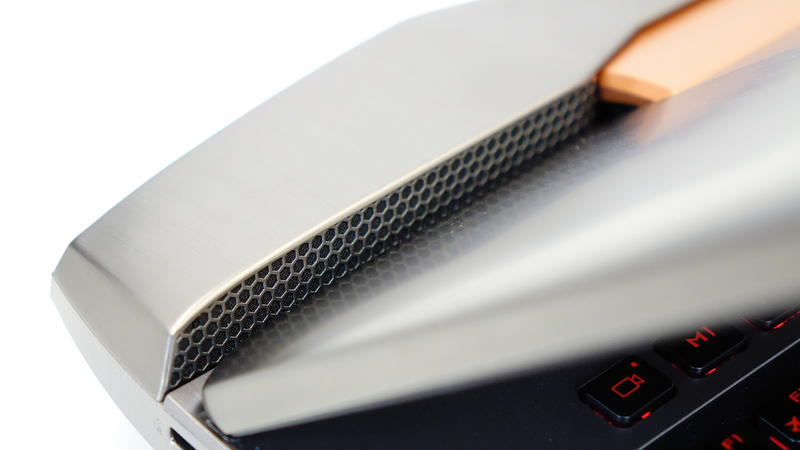 With the 1000-series the company aims to deliver unified performance to all form factors – desktop and mobile. 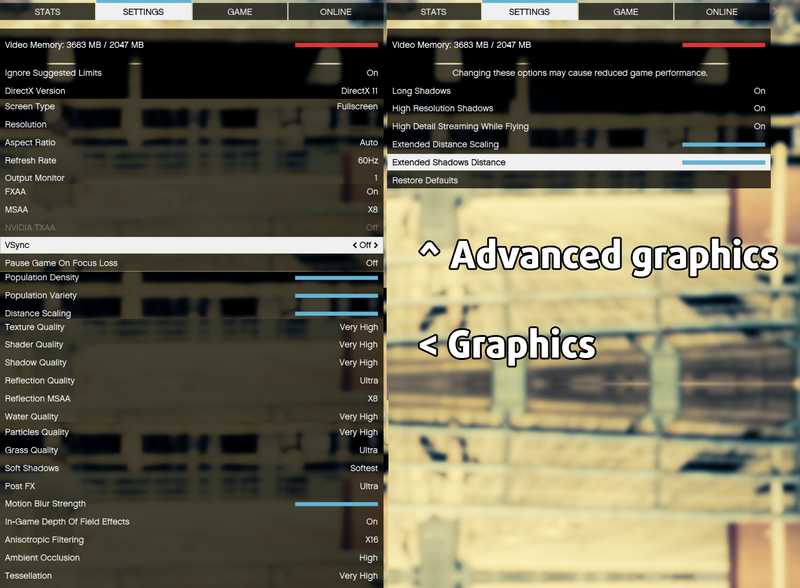 Our early tests showed that this isn’t as far-fetched as before and the difference between the mobile and desktop GPUs is negligible. 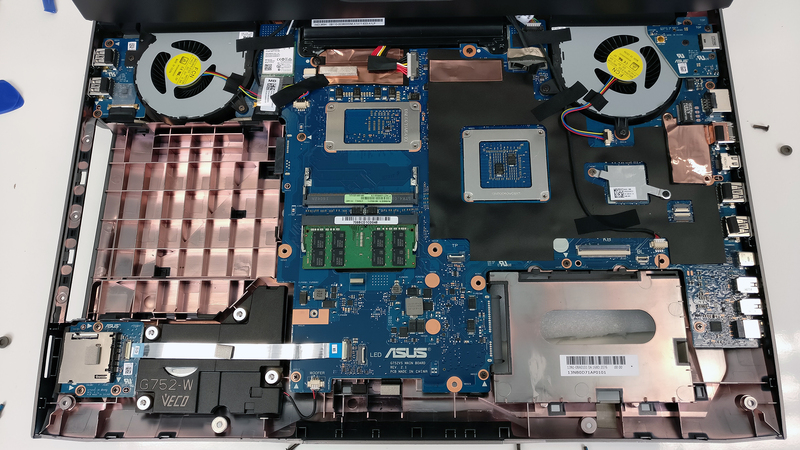 And this statement comes after we tested an engineering sample of the Acer Predator 17 (G9-793) but now, we have the final unit of the ASUS ROG G752VS, which should deliver slightly better performance due to being a final unit for the end user. 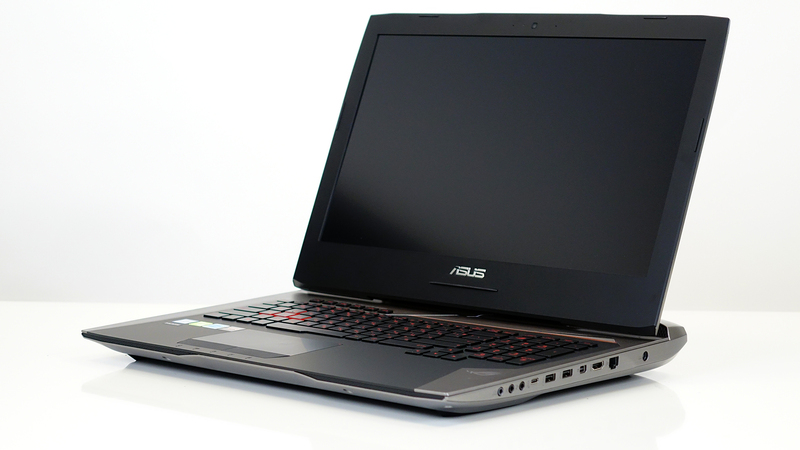 Aside from the hardware changes, the G752VS does not differ from its predecessor with GTX 970M and 980M. 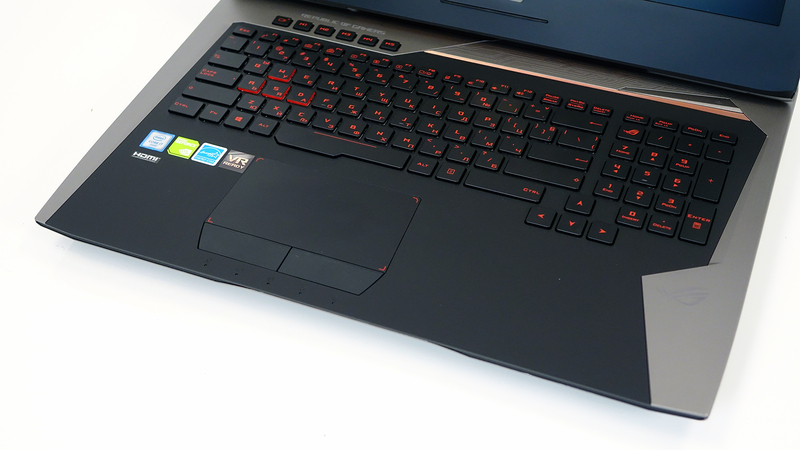 We already have a review on the G752VT so we suggest you go and check it out. So the same complaints about the choice of materials stay although the build of the chassis is perfectly executed. 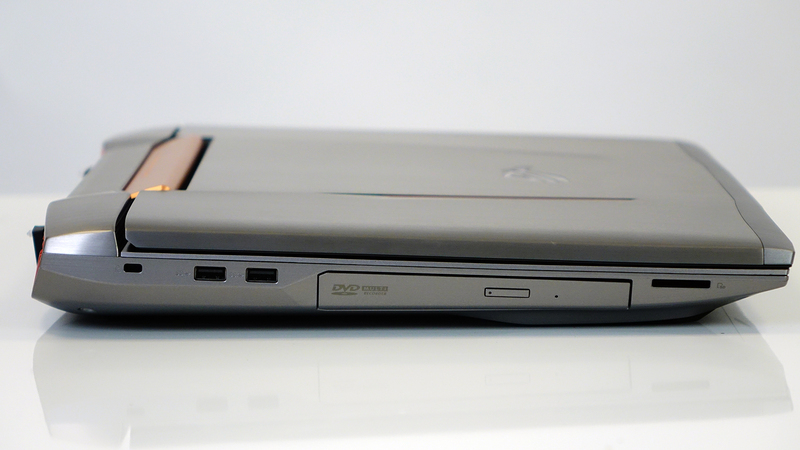 The added weight and thickness over the last G752VT model are hard to miss. We hope this is justified considering the powerful GTX 1070 on board. Let’s see how the device performs in our thorough tests. The notebook comes in an attractive package that includes all the usual user manuals, the AC adapter and power cord. 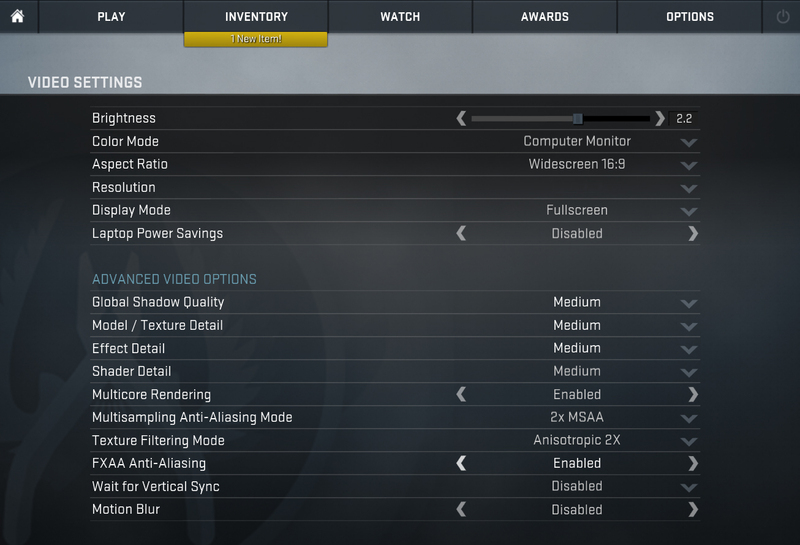 As we already mentioned, the G752VS isn’t any different from the G752VT aside from a few adjustments. The silver-colored plastic elements in the interior along with the bezels around the screen are now slightly darker-toned. However, we are met with the same choice of materials, which is slightly disappointing. 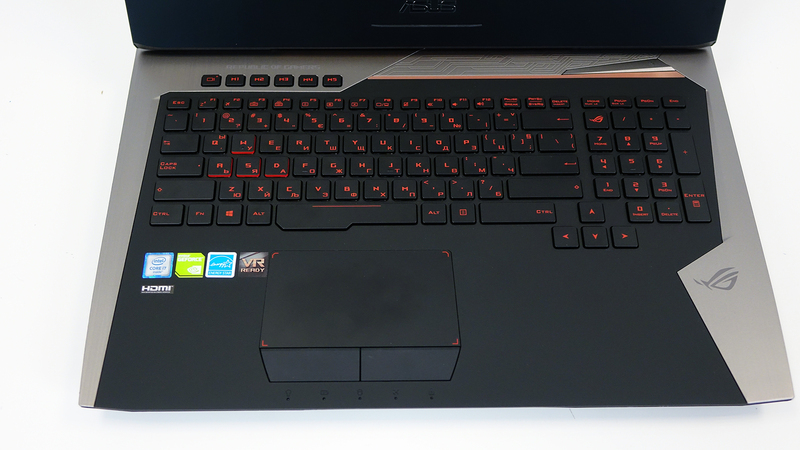 As we stated in our review of the G752VT, the G751JY was somehow sturdier and offered overall better build quality. Yes, the lid is still made of brushed aluminum, which is a bit too flexible in the center but doesn’t cause ripples to appear on the LCD panel, but the rest of the device features plastic imitating brushed aluminum. It would have been a nice finishing touch if the plastic elements in the interior were actual aluminum. Also, matte finish is the dominating surface for the interior around the keyboard and touchpad so it’s prone to smudges and fingerprints. frequent cleaning would be necessary. 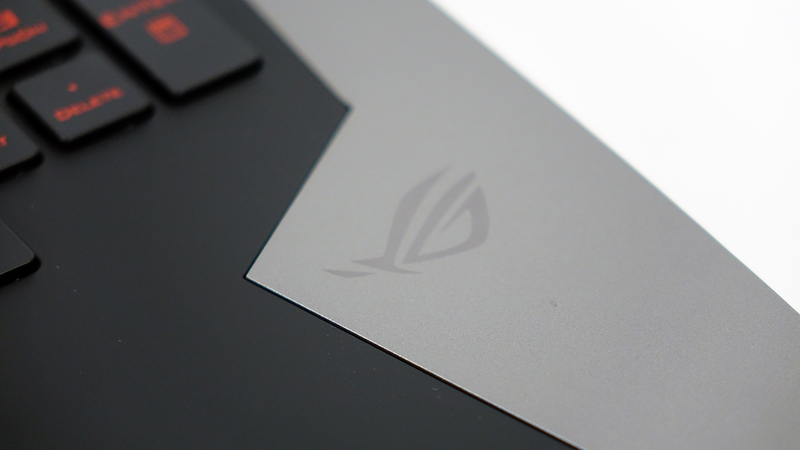 While we are on the interior, we would like to once again compliment ASUS on the flawless keyboard and touchpad design. The latter is stable, responsive and the dedicated mouse buttons are just pleasure to use. They are wide enough and the feedback is awesome. The same goes for the keyboard, which once again supports the 30-key rollover anti-ghosting feature, meaning that you can press 30 keys at once and all of them will be recorded. 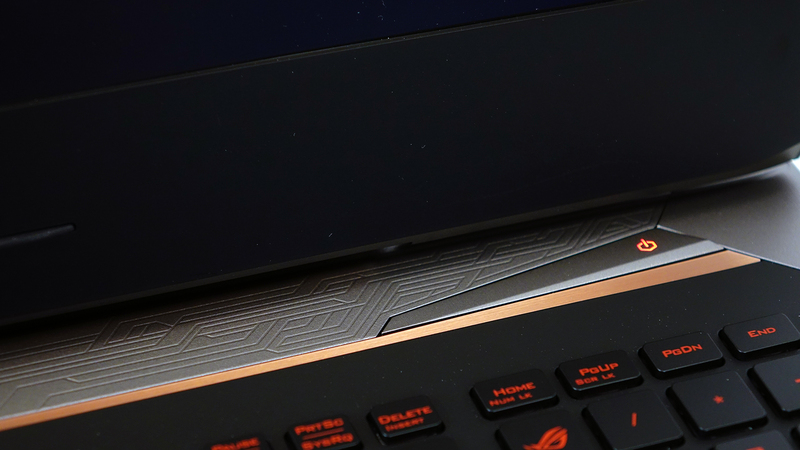 The key travel is long enough and the tactile feedback is on par with what we’ve seen on other high-end gaming laptops. 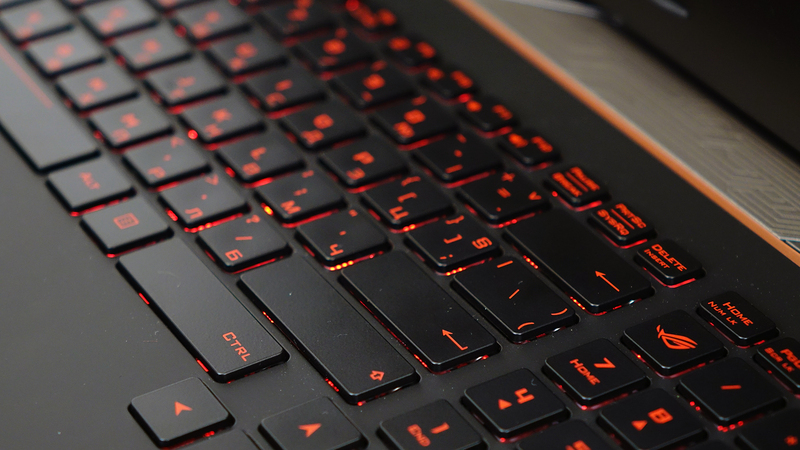 The only issue we can think of would be the placement of the macro keys. If you are using those frequently and if they are assigned for quick tasks, you will have some trouble reaching them on top of the keyboard. 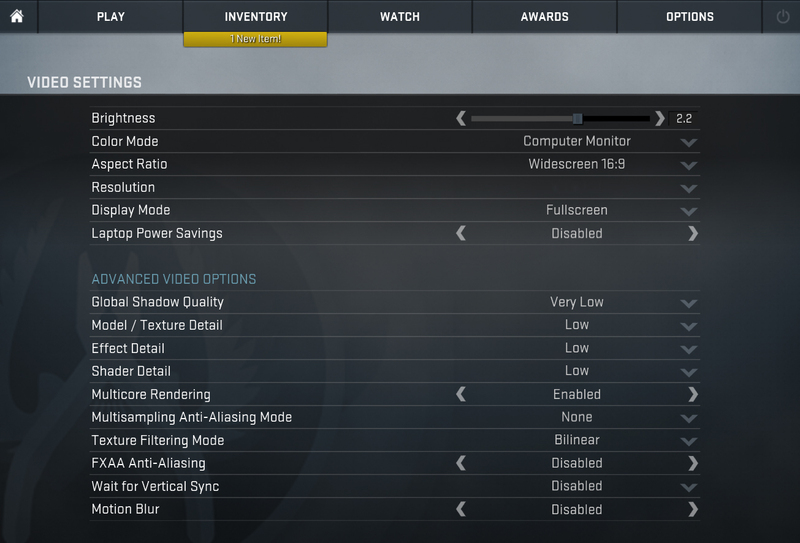 Oh, and once again ASUS misses out on the media player control buttons, which are a necessity nowadays. It’s a multimedia/gaming-centric notebook after all. The bottom piece is made of plastic imitating brushed aluminum finish. 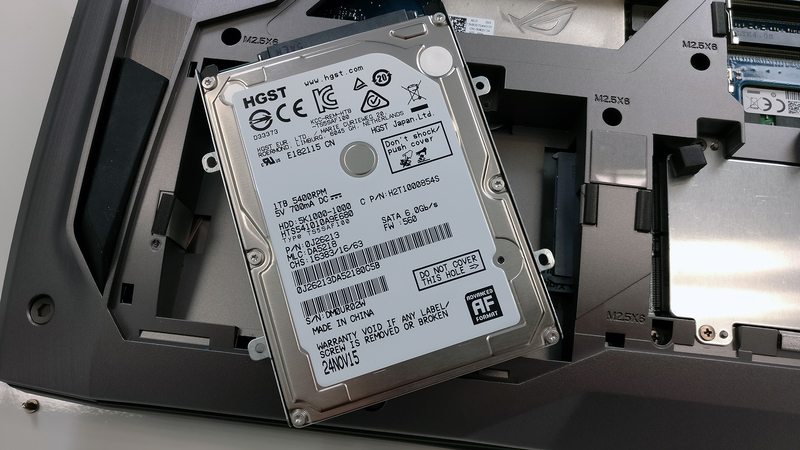 It features a big maintenance hatch that gives access to most of the upgradeable hardware like two of the RAM slots, M.2 SSD and 2.5-inch HDD. 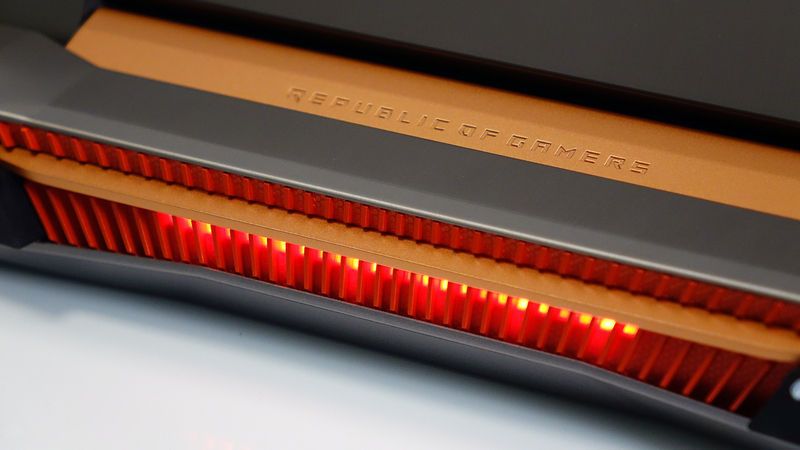 There’s also that small window that lets you peek into the cooling system. 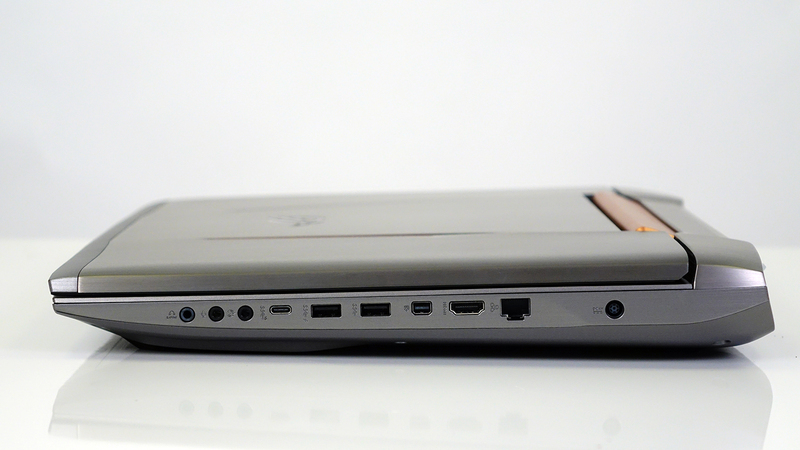 Another considerable drawback, that we discussed in the previous review and it’s also present in the Acer’s Predator 17 (G9-793) is the port distribution. The left side contains only the SD card reader, optical drive, and two USB 3.0 ports while the right side adopts the rest of the ports – LAN, HDMI, mini DisplayPort, USB-C, 2x USB 3.0 etc. 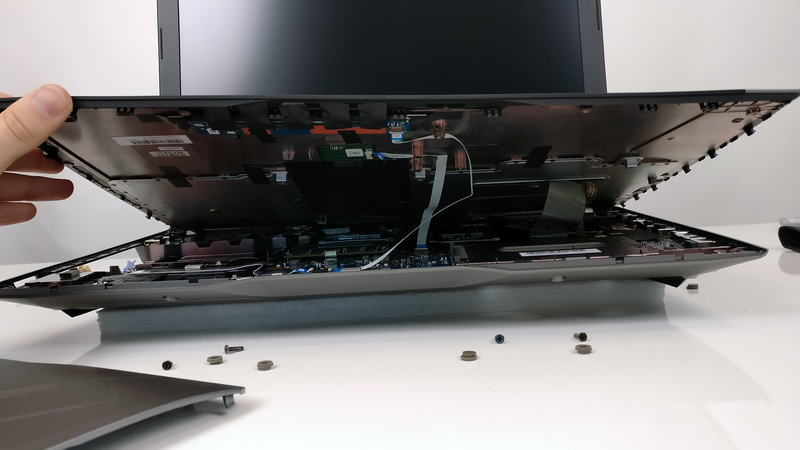 Once again, we would like to stress on the fact that the G752VS is an excellently built machine with small but noticeable issues none of which are related to the build quality itself. It’s just that for a premium notebook costing that much, we would have appreciated more aluminum to be included in the build. It adds sturdiness and expands the lifespan of the device. It also helps with getting out the heat faster. And finally, we would like to address the added weight and thickness of the device. It’s now hefty as hell tipping the scale at 4.51 kg with another 780 g for the power supply and at its thickest point, the device is 51 mm. 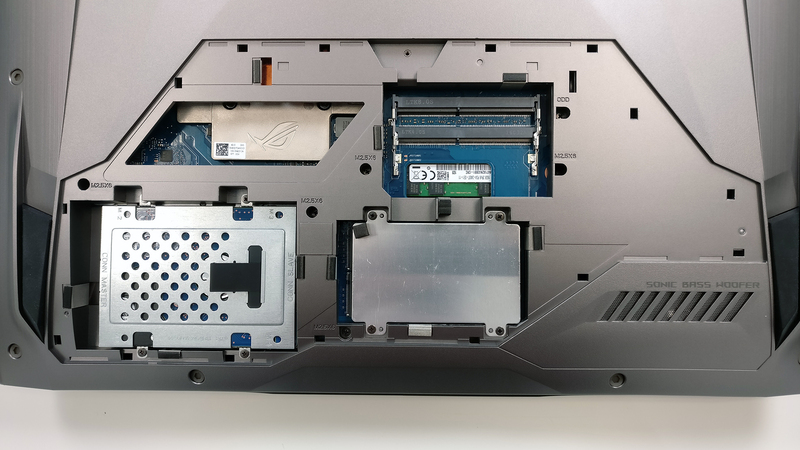 The full disassembly is a pain, just like on the previous ASUS ROG G752 but upgrading the internals is again quite easy. By upgrade, we mean the storage options and RAM chips. 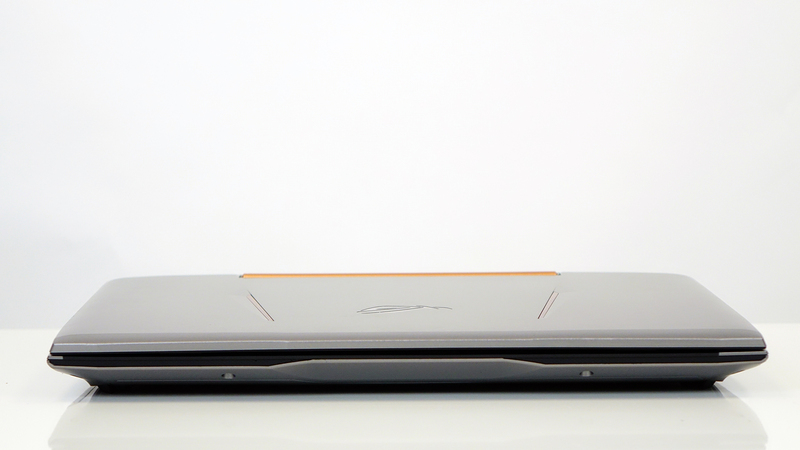 The laptop supports a 2.5-inch HDD and two M.2 PCIe NVMe SSDs in a 2280 form factor. They are accessed pretty easily via the maintenance hatch. 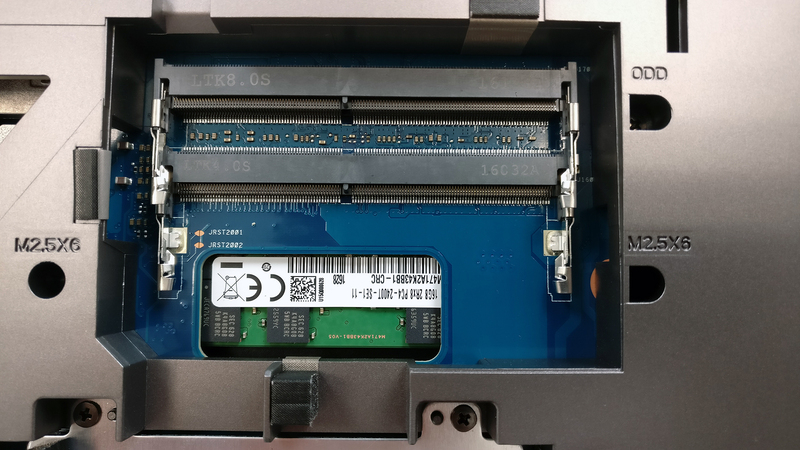 It’s also important to note that the notebook comes with a pretty fast Toshiba M.2 SSD – the same can be found in Acer’s Predator 15 and Predator 17. The motherboard can hold up to 64GB of DDR4-2133 RAM but our unit came with three free slots and only one being taken by an 16GB stick. Two of the slots are easily accessed under the service lid but the other two require almost a full disassembly. If you want to access the Wi-Fi card or the 90Wh battery, a full disassembly is required. You can also check out the G752VT article for further instructions on how to teardown the machine. 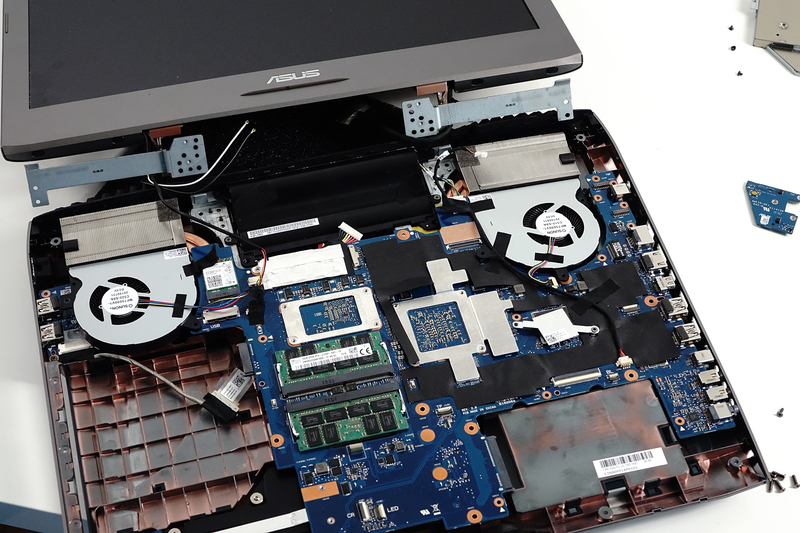 Again, to access the cooling system you need to teardown the whole notebook and flip the motherboard around. 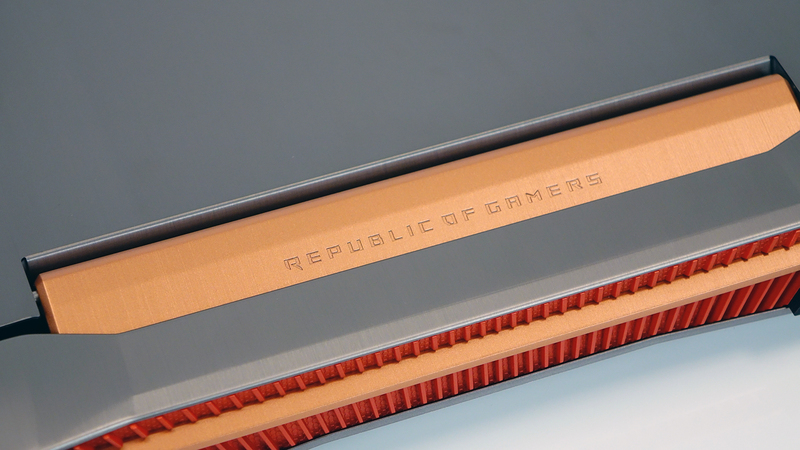 And as far as the cooling design goes, it’s just awesome. 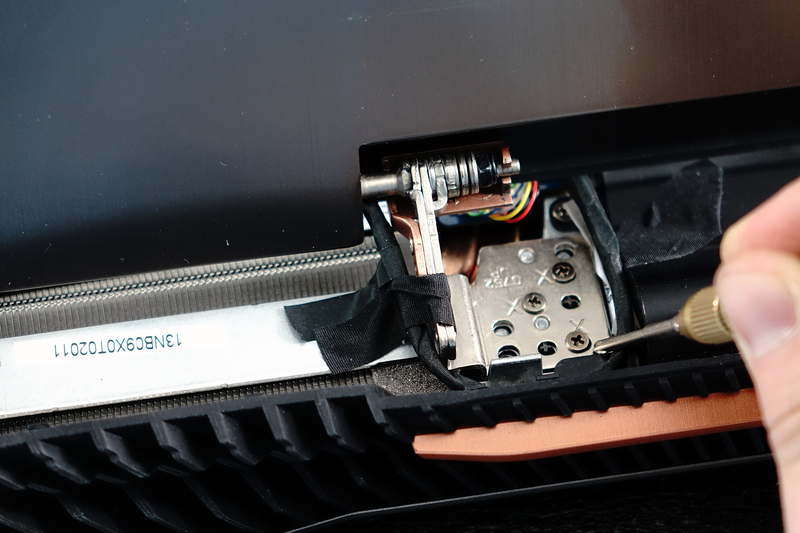 The so-called 3D Vapor Chamber cools off the internals by circulating coolant back and forth while leading out the hot air out of the chassis. 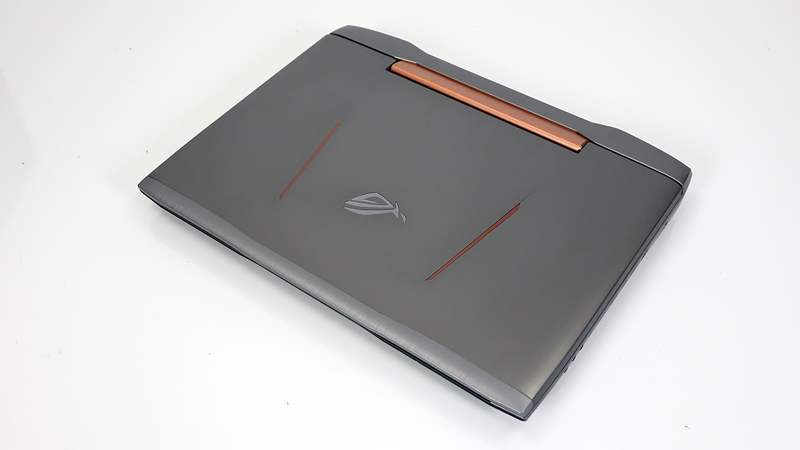 The notebook uses a well-known panel – LG LP173WF4-SPF3 – which can also be found in the previous ASUS ROG G752 generation with GTX 970M and 980M as well as in the 17-inch multimedia ASUS N752VX notebook. This is an excellent Full HD IPS panel with a number of excellent properties so here’s what we can say about the display. The display measures at 17.3-inch diagonal with Full HD (1920×1080), IPS display with 16:9 aspect ratio, pixel density of 127 ppi and 0.199 x 0.199 mm pixel pitch. The display can be considered as “Retina” if viewed from a distance equal or greater than 69 cm. The maximum recorded brightness is 334 cd/m2 in the middle of the screen but the average on the surface is 329 cd/m2. This means a maximum 6% deviation while the color temperature is 6240K (6320K in the center) with only -5.5% deviation. This is pretty close to the optimal (6500K). 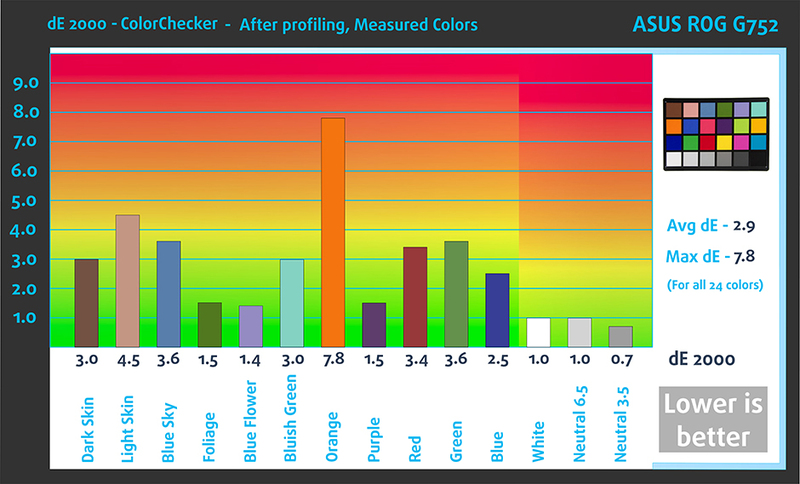 Also, the color difference compared to the center is maximum dE2000=2.5 and the average dE2000=1.4. 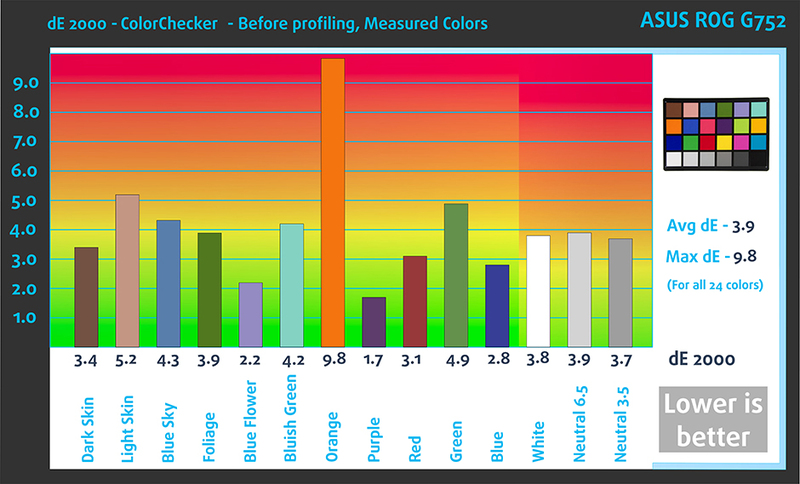 The native contrast ratio is 1050:1 and 1010:1 after calibration. The profile was created at 140 cd/m2, D65 white point and sRGB gamma mode. You can see the difference between the stock profile and our custom-made profile – the gamma is slightly adjusted and the white point is more in line with the optimal 6500K. 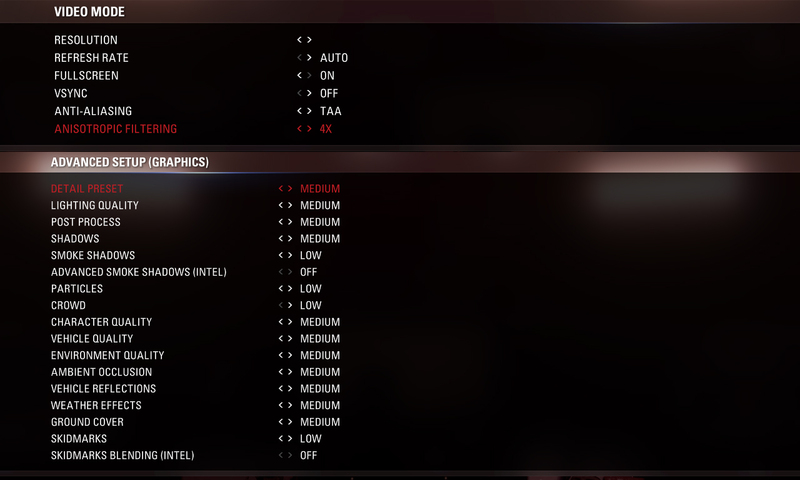 And since we didn’t detect PWM on the ASUS ROG G752VT and on the ASUS N752VX, we didn’t record any screen flickering here as well. So the display can be used for longer periods of time without affecting users with sensitive eyes. 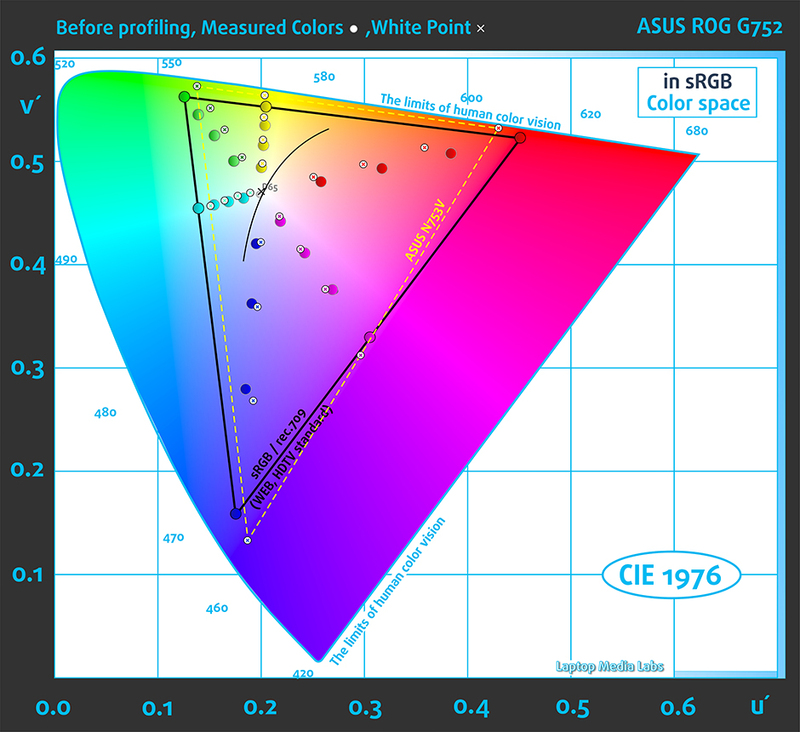 Even though there’s a slight disappointment in the fact that ASUS is using the same panel over and over again in two generations of the notebook as well as in the ASUS N752VX, we can’t really blame them for equipping the new G752VS with an excellent display because, why change something when it’s clearly working out so well? 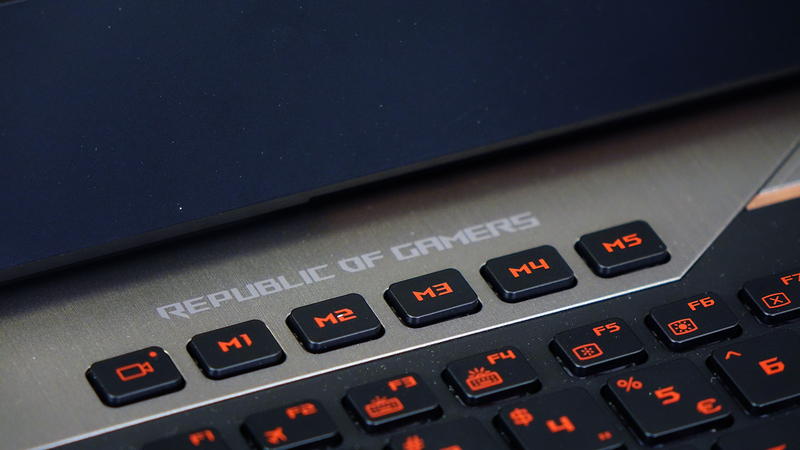 The panel is bright, covers a wide range of the sRGB, has good readings in almost all of our tests and features a 75Hz refresh rate and combines it with the G-Sync technology for smoother gameplay. 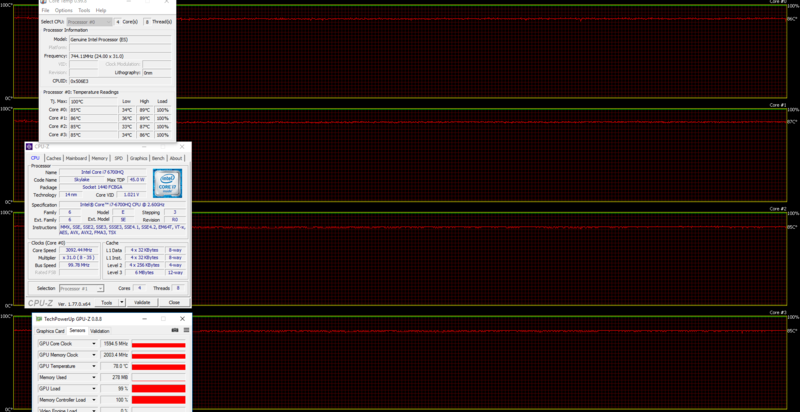 Also, no PWM across all brightness levels. As before, the sound quality of the system is excellent with little distortions in the high frequencies. However, most users won’t notice it. 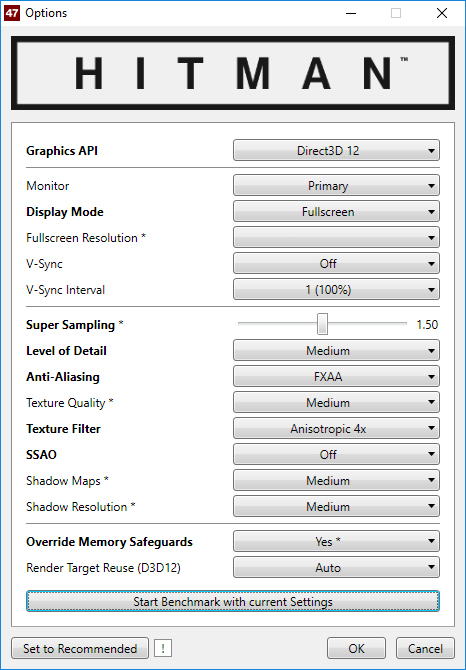 The unit we’ve tested came without an OS so we installed Windows 10 (64-bit) and if your’s didn’t come with Windows as well, we suggest downloading all the needed drivers from ASUS’ official support page. 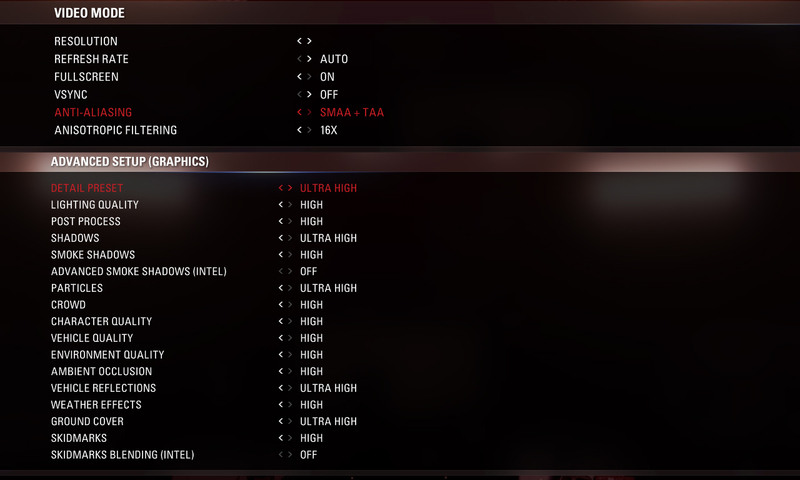 Yet another high-end gaming notebook that excludes the iGPU – Intel HD Graphics 530 in this case – so we expect significantly lower video playback and browsing runtimes. 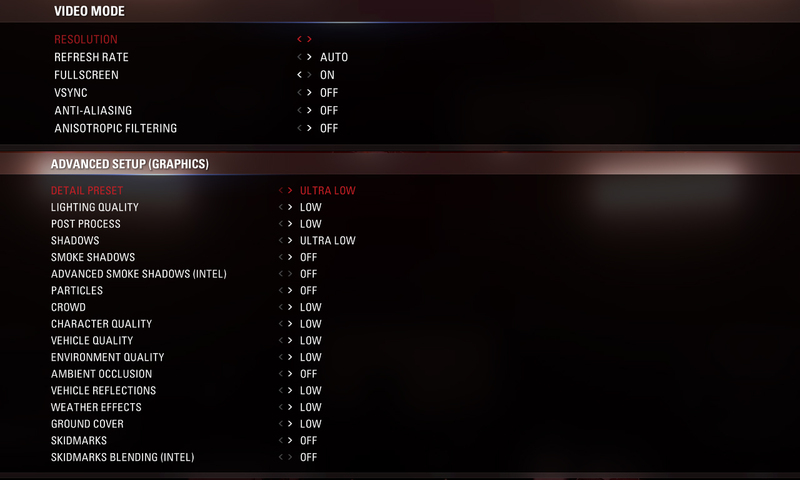 We saw subpar battery performance on the new Acer Predator 17 (G9-793) and on the Acer Predator 15 (G9-593) due to the missing integrated graphics that usually takes care of the less-demanding tasks. 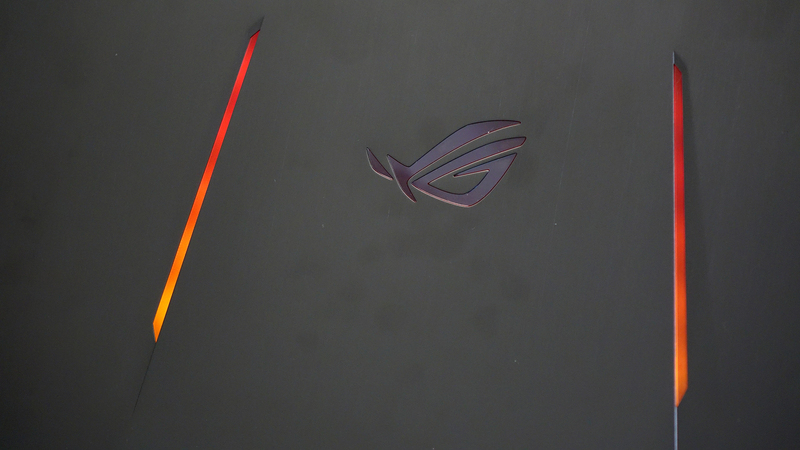 So history repeats itself and despite the large 90Wh battery, the ASUS ROG G752VS fails to meet our expectations in terms of battery performance. All of the tests were run using the same settings as always – Wi-Fi turned on, Windows battery saving feature turned on and screen brightness set to 120 cd/m2. 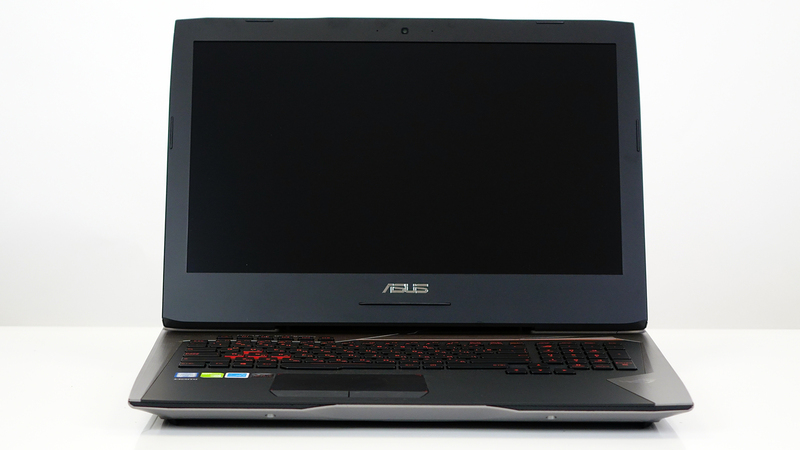 Disappointing result even for a gaming notebook – 267 minutes (4 hours and 17 minutes). Another subpar result – 220 minutes (3 hours and 40 minutes). 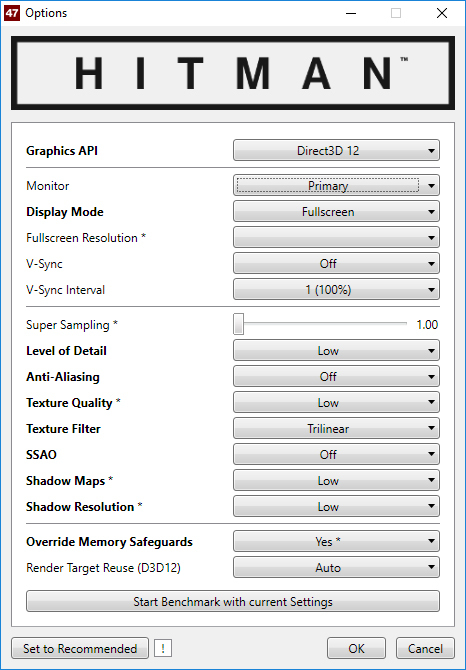 For accurate simulation, we used the F1 2015 benchmark running on a loop with graphic settings set to minimum. We doubt you will start a gaming session away from the charger but here’s how much time you will get out of the system – 75 minutes (1 hour and 15 minutes). 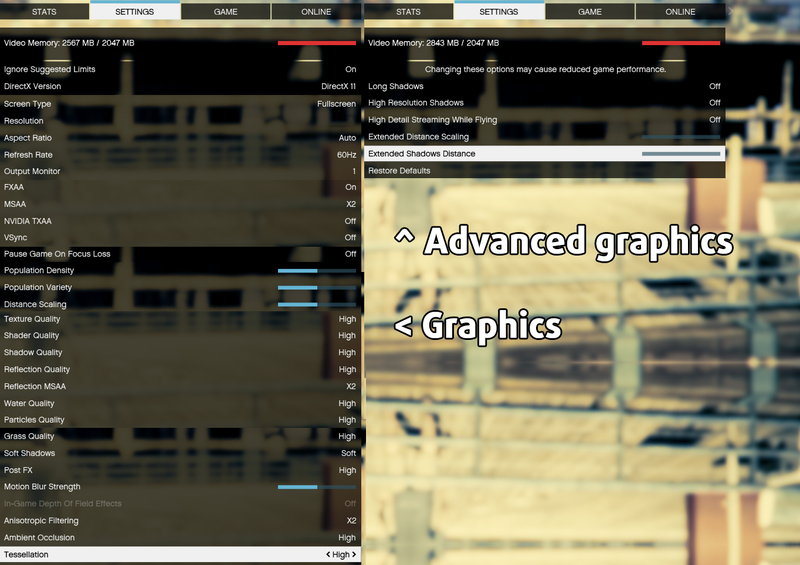 This two-staged isn’t exactly a good representation of real-life use since the general user won’t be able to load the CPU and GPU at 100% for such long periods of time but it’s still a good way to determine the reliability of the cooling system in the long run and see how the system as a whole handles higher loads. We kick things off with 100% CPU load for an hour. We were immediately surprised by the low temperatures (69 °C) the silicone maintained without breaking a sweat at maximum Turbo Boost frequency 3.1 GHz. 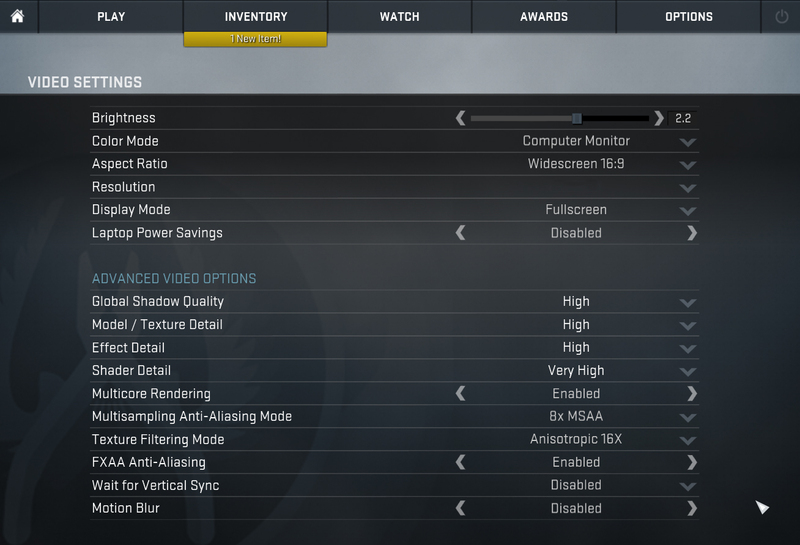 Even after an hour of CPU torture, when we turned on the GPU, things didn’t change as much. The processor was still running at 3.1 GHz solid but temperatures rose to 85 °C. The GPU at first ran at 1683 MHz but slowly toned down to 1594 MHz, which is closer to the base clock (1506 MHz). 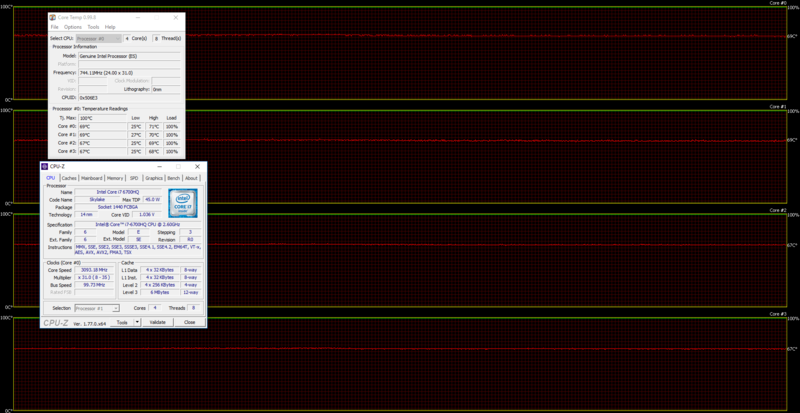 The GPU ran at 78 °C, which is relatively high but still preferable than thermal throttling. We consider the cooling system’s performance to be more than excellent. Even under such high load for more than two hours, the chassis remained cool so the user won’t feel a thing during the most intense and prolonged gaming sessions. 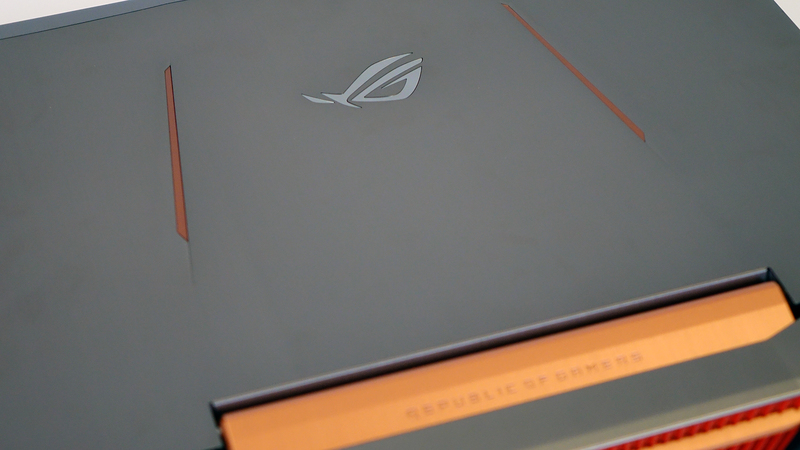 Our general opinion of the ASUS ROG G752VS remains somehow unchanged. 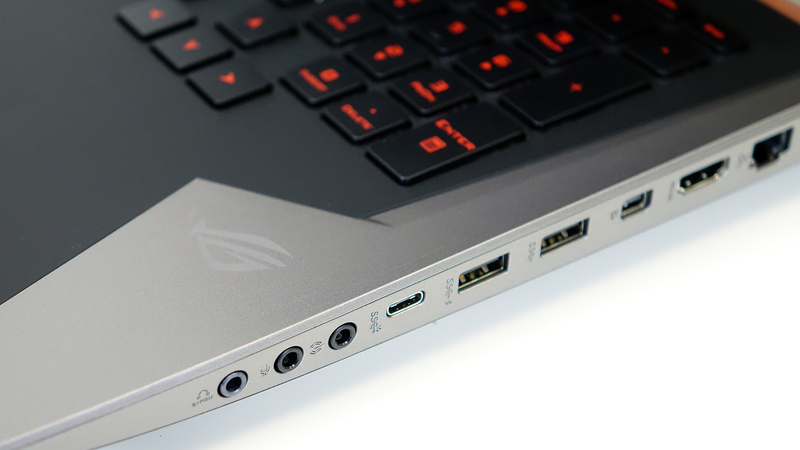 It’s an excellent premium gaming notebook with fast storage solutions (2x M.2 PCIe NVMe SSD), ridiculously powerful GTX 1070 on board and a cooling system to support all of this demanding hardware. 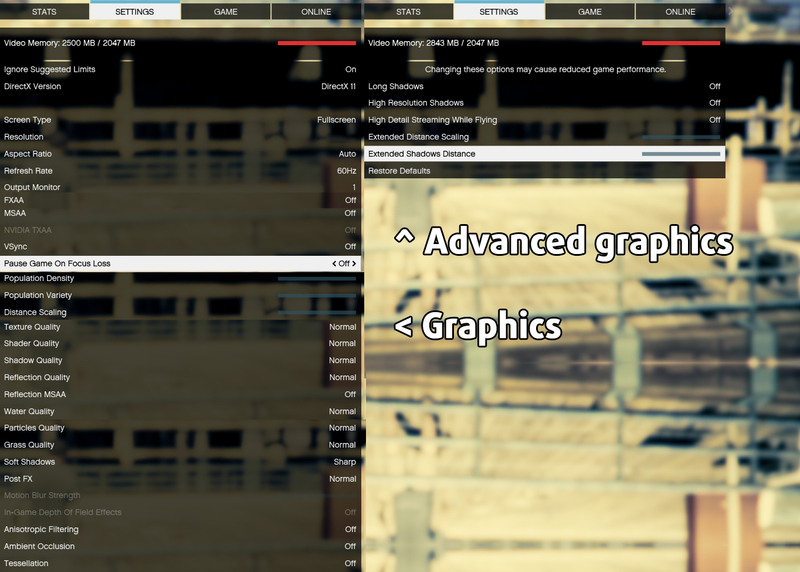 The display is also of high quality, although it’s identical to the previous version while retaining the much-needed G-Sync technology paired with the 75Hz refresh rate. 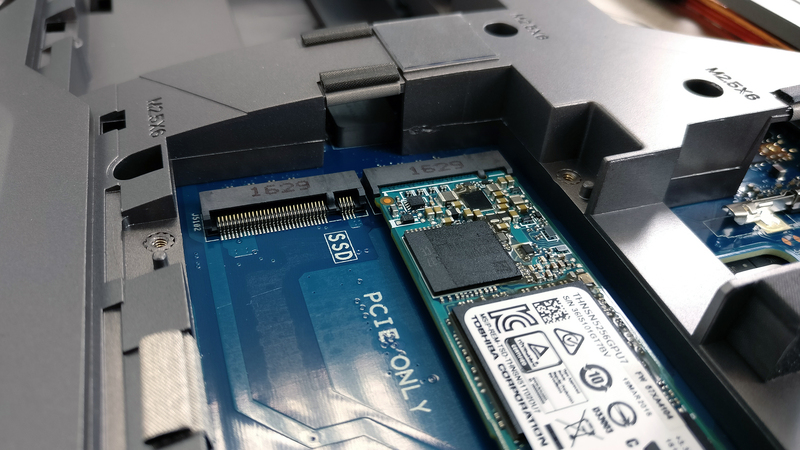 However, we are still puzzled by the fact that the G752VS continues the bad trend of excluding the iGPU from the system and thus ruining the battery life and crippling the 90Wh capacity. 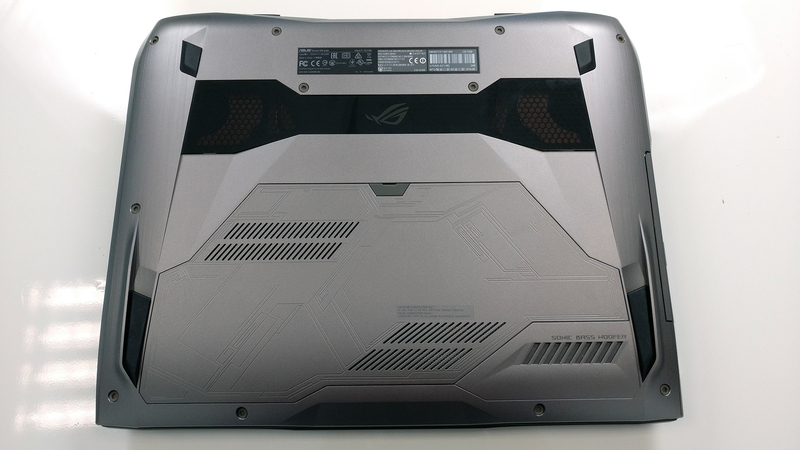 Also, the build quality is rather questionable in the long run – the construction feels rigid but the choice of materials is unsatisfactory – and falls behind some of its competitors like the Acer Predator 15 and Predator 17 – even compared to its distant predecessor the ASUS ROG G751 – while sharing the overcrowded port distribution on the right side. We hope this gets fixed in the future alterations of the laptop. 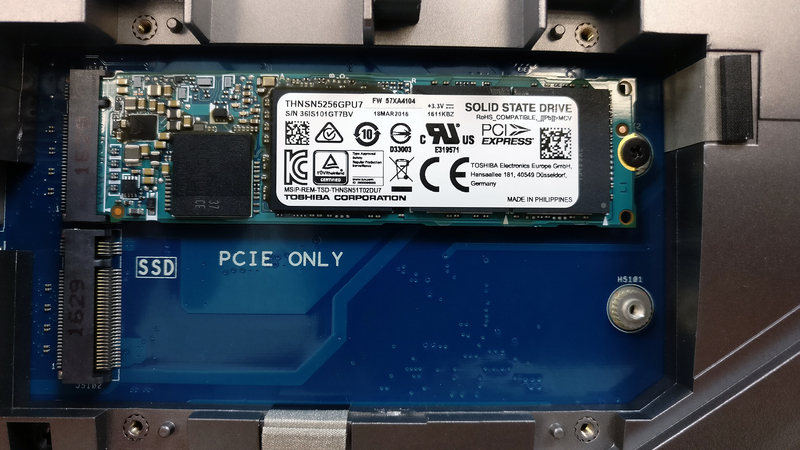 In terms of usability, the notebook holds an edge over the Predator series with a slightly better touchpad design, better storage compatibility (two identical M.2 2280 PCIe SSD slots) and a tad better cooling solution. I bought the 3 display profiles and don’t see how to download them. How do I get them? We’ve reached you by e-mail and if you have any more questions, please don’t hesitate to send them on [email protected].